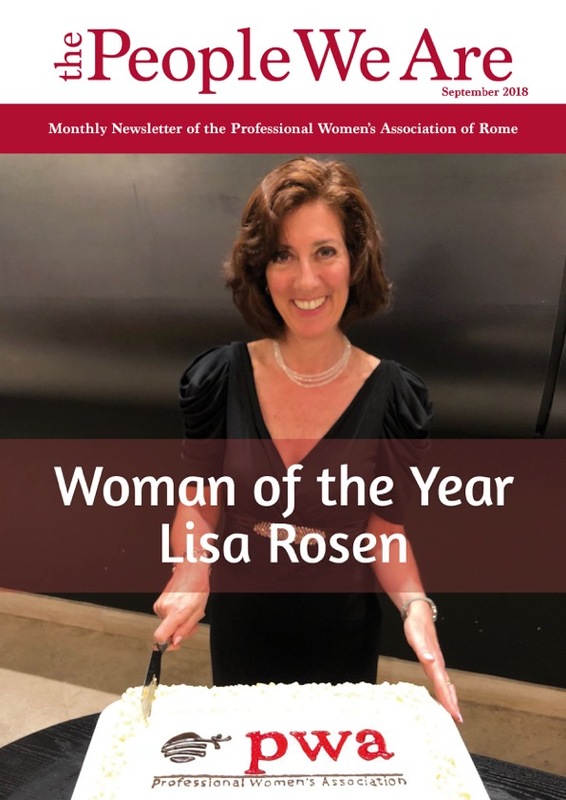 Meeting up with Lisa Rosen after a vacation period, but not yet into the swing of things in her professional life wasn’t quite what I expected. I wanted that special Woman of the Year 2017/18 to reveal her secrets – the secrets of a well- deserved award winner. Mildly surprised, I discovered a different Lisa: a wife, mother, daughter; that part of a professional woman seldom under the spotlight. I found her spending her holidays helping her daughter Virginia get organized for her upcoming Magistrali Double degree program pairing LUISS in Rome and Dauphine in Paris, preparing for her son Alessandro’s departure for an Erasmus in Lisbon, hosting her kids’ international friends, frequently having her father in law over for lunch, taking care of her aging parents, all activities filling her last days of “relax” before we all get back to the grind. European HQ role also granted her the opportunity to have frequent dealings with colleagues around the world, and even to travel on occasion. On the down- side, this left very little free time for her family and friends, lost time which she was finally making up for. Lisa looked radiant as she shared her family’s achievements with me. Being a proud mum gives you that inner glow that supersedes the need for make-up, hairdresser, or fashionable clothes to look your best. Don’t take my word for it, ask Lisa! Lisa is an only child, and as a professional she worked hard to get where she is now. Yet, whilst she now regularly collaborates with her husband’s accounting and tax firm, Studio Spito & Associati, in Lisa’s life today, she feels that it’s important to be there for your family, and regrets she never was around enough when her children were growing up. Lisa is giving back the affection showered upon her by her parents, by caring now, dedicating herself more to her family. She is highly conscious that today, the consulting work she is doing with her husband, centered more on independent projects rather than daily tasks, reflects on his reputation and their business, yet does not take away as much time as her previous roles with multinational companies. And now family takes pride of place in her scale of values. Lisa has a passion for music and belongs to a choir. She loves performing in a group. 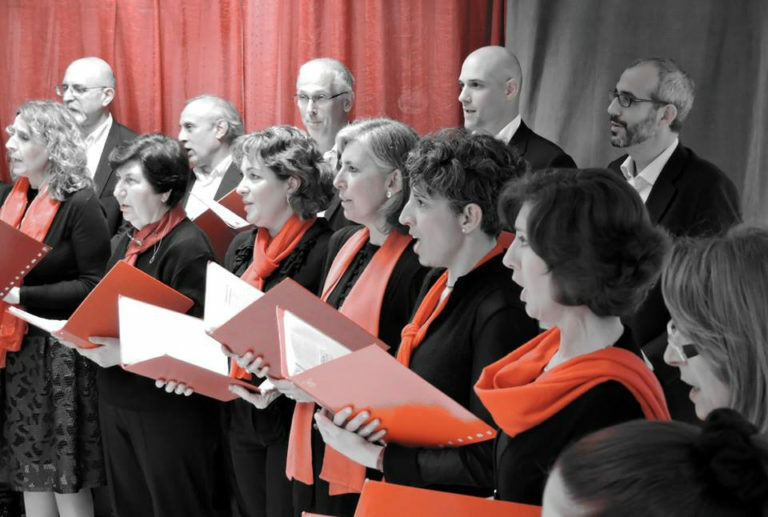 It gives her strength and brings out her enthusiasm for teamwork, as she realizes how perfect results come from singing in unison. She practices often and now finds time to socialize more and use her skills in different areas. Apart from her nomination as Vice president of PWA, now she has also become a member of the board of IPG – International Practice Group, as Head of Recruitment for Accounting and Audit firms. network using this multi-faceted interaction between lawyers and tax advisors as a constant learning experience as well as an additional opportunity for her husband’s firm. Working with her Dottore Commercialista husband will allow her to be more active in the knowledge sharing area of IPG where she intends to provide information on Italian fiscal and commercial-related topics, with the idea of rendering the Italian business environment more visible and possibly also appealing on a global platform. people who had the same values, the same ideas, that in times of trouble she could see ways to handle the situation, to receive confirmation that she was doing the right thing. Lisa lives in Fregene, a seaside town near Rome. You might meet her walking on the beach, far from the city-buzz. Meditation for Lisa plays a part in helping the soul, just as self-development courses help the mind. Lisa likes the way PWA draws like-minded people together, advocates a high-level international network. Yet for herself deep down, she seeks a more unconventional, flexible, less time-demanding professional life in order to be there for her family. Lisa finds she adapts well everywhere, and derives her satisfaction from that. Will we see more change for Lisa – why not?